Providing Plumbing services throughout Bromsgrove, Redditch and Birmingham. Forget what you know about other plumbers! At Helpful Plumber, we’re different… in a good way! We believe that customers should know exactly what they’re paying for and exactly what they’re getting for their money, up front. Simply choose a service from our services menu (above), see the price listed and that’s the price you pay – saving you a lot of guesswork, a huge amount of hassle and quite a bit of money….. Need an honest plumber you can count on? Look no further! Our services cover almost every aspect of plumbing. All of our plumbing work (including fittings and fixtures) are backed up with a real 12 month warranty that isn’t out sourced, we don’t expect you take up anything with the manufacturer. If within 12 months, something goes wrong or you’re not happy, get in contact and we will deal with everything. Simples. We have plumbers working throughout Bromsgrove, Redditch and surrounding areas. We understand that trust is one of the most important factors when you’re choosing a tradesman that’s local. We are confident that our plumbing services are second to no other plumbing company. Want to find out more about our services? Fill in the form below and we'll call you to discuss your requirements. SubjectWhat do you want to discuss? By clicking this box I consent to let Helpful Plumber collect and store the personal data contained in the above form submission: My name, Email, Phone number, Address and any other information that I disclose, so that they can respond to my enquiry. The Gas Safe Register is the official registration scheme in the United Kingdom, Isle of Man and Guernsey for installers and maintenance engineers dealing with gas appliances. The Helpful Plumber have been established for over 7 years. We have helped thousands of customers throughout Kings Heath, Alcester, Barnt Green, Alvechurch, Bromsgrove, Redditch, Inkberrow, Moseley and further into the West Midlands area. Originally we started as a small company servicing only Bromsgrove and Redditch. Over the next few years our reputation quickly developed and we were fast becoming the premier plumber in the region. As our reputation grew, so did the Helpful Plumber! We are now proudly offering plumbing services throughout Bromsgrove, Redditch, Worcester and surrounding areas. Our clients love our honesty, our fixed price policy and the can do attitudes of our plumbers. We always have our customers in mind and even publish and update a portfolio online (click here), so that our customers can see our work before they call. The Helpful Plumber is a tried, tested and registered plumber. We are experts in all aspects of plumbing and gas services. Based in the heart of the West Midlands, we provide the very best plumbing service possible all backed up by a 12 month warranty. We provide all your traditional plumbing services that you would expect from a fully qualified plumbers. For example: tap fitting, shower fitting, burst pipe repairs, washing machine installs and everything in between. Available throughout Bromsgrove, Redditch and Worcestershire. We have expert plumbers in Bromsgrove, covering solely that area. We have performed hundreds of boiler installation Bromsgrove. With prices starting from only £1500 for your new boiler (and with other incentives such as HUGE savings on your fuel bills), there’s never been a better time to upgrade your old boiler. As Gas safe engineers we can legally work on your all your gas appliances throughout Bromsgrove! The Helpful Plumbers HQ is in Redditch! We truly are local! We currently provide the most cost effective boiler installation Redditch service available. Larger Nation wide companies regularly charge more than £3000 for a new A rated Baxi boiler install. Our prices start at £1500 and with a 10 year warranty on most new boilers provided – it may be time for your new boiler install! We provide plumbing services throughout the city. Unlike other plumbers we provide up-front costs for many of our services (not including custom bathroom fits etc). Our transparent pricing structure lets all of our customers know exactly what they will be paying before they even call. You will get no sales patter, no speech and no inflated prices! Click -> Plumber Birmingham to find out more. Emergencies can strike at any time – rest assured that if you find yourself in a plumbing emergency, you can rely on The Helpful Plumber no matter the time, day or weather conditions outside! 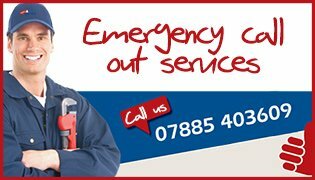 Call us on 07885 403609 if you find yourself in an emergency 24/7! Our gas services are extremely popular. Whether it’s a new boiler, your boiler needs servicing or repairing – The Helpful Plumber have you covered. 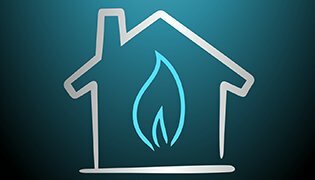 We are Gas Certified which means we can legally and safely attend to all of your gas needs and wants! We offer our customers a complete service from start to finish providing them with a soothing reassurance, because we carry out all the plastering work, electrics, tiling and installation of a new bathroom suite. 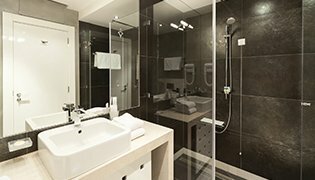 We can even provide the suite! Martin Loynes provided a fantastic service on Bank Holiday Easter Sunday as an emergency to stop a burst pipe. Cant thank him enough. Fast friendly and reliable. Would recommend and use again.